If you are over fifty, single and have soul then this is the ultimate vacation. Join the Soul at Sea Black Singles Cruise 2014. This eleven night Thanksgiving cruise is with the leading cruise company Holland America abroad their liner MS Zuiderdam. This elegant cruise ship is mid range in size taking 1,916 passengers. On the Soul at Sea Black Singles Cruise 2014 you will be guaranteed a fun Thanksgiving with our soul theme cruise. A great chance for you to make new friends and maybe even find that someone very special. Holland America is proud of its excellent reputation and you with high standards you will surely have a wonderful vacation. All cabins on board are spacious many have their own private balconies which is a pleasant way to enjoy drinks or maybe sunbath within the privacy of your stateroom. On board MS Zuiderdam standards of housekeeping are exceptional with a daily maid service and a steward always on hand to assist. The linen is the finest Egyptian cotton and the plush bathrobes are all added extras which make Holland America stand out when it comes to cruising. 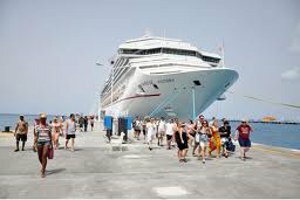 Departing Fort Lauderdale, Florida on November 18 this eleven night cruise calls at Bahamas, Aruba, Curacao, Columbia, Panama Canal, Costa Rica before returning to FL. If you are a first time cruiser you are in for a treat, with high standards of accommodation, with some seven restaurants and first class shows and entertainment and some of the best spa facilities on the seas. In the Vista Lounge enjoy vocals and bands and in the evening for those that like to party the Crow;s Nest is the nightclub and plays tunes until the early hours. You will be guaranteed a vacation to remember when you choose to take part in this singles cruise and on this cruise you may even meet that special lady or gentleman.